An unusual medical condition enabled a woman in Albany, New York, to avoid conviction for driving under the influence. It makes you wonder whether people will start making appointments with their doctors as well as their lawyers after police charge them with DUI in Los Angeles. ABC 7 News in San Francisco reported that the unnamed woman had a blood alcohol content of 0.33 (as measured by a breathalyzer) when police pulled her over in October 2014 for erratic driving. But the woman (unnamed because of medical confidentiality laws) said she had not had more than three drinks in six hours. 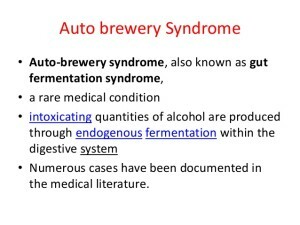 The woman’s lawyer, Joseph Marusak, first contacted Barbara Cordell of Penola College in Texas, who had published a study of a man who had “auto-brewery syndrome.” In this condition, the body’s digestive system converts ordinary foods—those with high carbohydrate content—into alcohol. (The intestines literally ferment them into alcohol.) In the case that Cordell studied, a 61-year-old man had suffered periods of drunkenness, despite the fact that he had not been drinking. 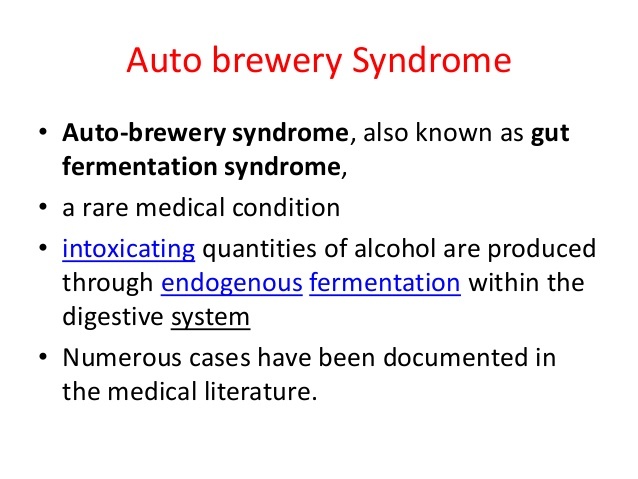 Cordell referred Marusak to Dr. Anup Kanodia, a physician in Columbus, Ohio, who works with patients with auto-brewery syndrome. Marusak, meanwhile, had two nurses and a physician’s assistant monitor his client for a day in which she drank no alcohol but ate a high-carb diet. They took several blood tests and found that despite her avoidance of alcohol at the end of the day the woman had a BAC of .36. Kanodia placed the woman on a low-carbohydrate diet that apparently has gotten the problem under control. At the woman’s DUI trial, the judge reviewed the medical evidence and dismissed the DUI charges. Someone trying the same defense in California would face some fairly stiff penalties if they didn’t succeed with that defense. Under California Vehicle Codes 23578, 23538 and 23575, anyone with a BAC above .20 will lose their license for at least a month and must attend an alcohol/drug education program of at least 60 hours for at least nine months.